Many of you have sent wonderful suggestions for Tuesday Tips. You’ve emailed and left comments, and asked for some fabulous stuff. 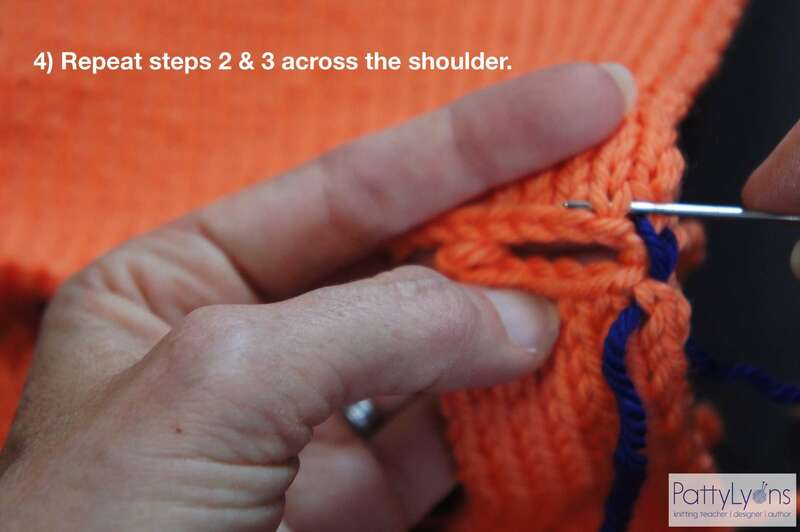 Sure, there have been plenty of fancy requests, but by far the most frequently requested tutorials involve seaming. So I’m gonna start up with the one that can make a sweater look slick or sloppy. When teaching how to seam a shoulder, I always tell my students we want two things. A good shoulder seam should be strong while still looking seamless. The most important thing is working into the stitch under the bind off. This will guarantee a strong seam. 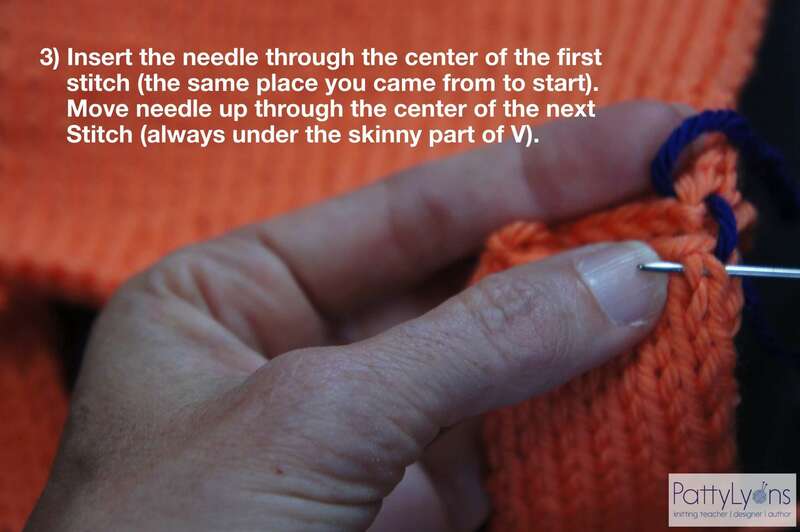 If you are always working under the skinny part of the V, you will be creating an uninterrupted line of stitches. You might sometimes hear the seam referred to as a shoulder graft. A true graft is joining two sets of live stitches. This would not make a strong shoulder seam. 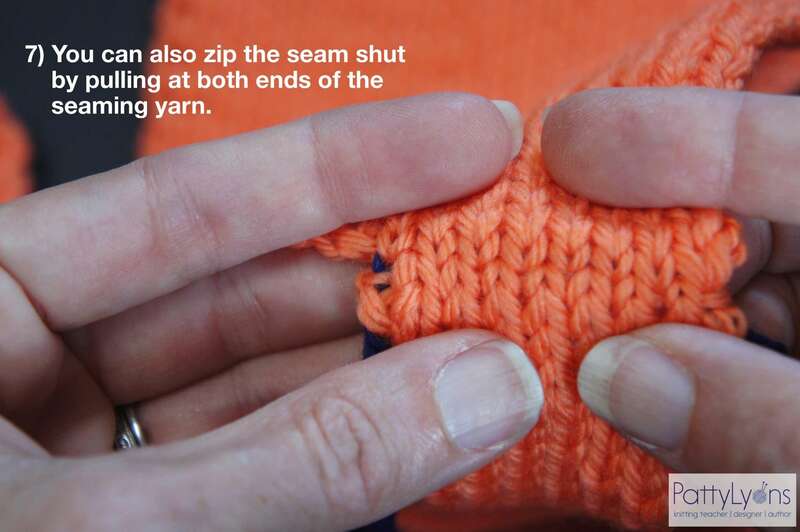 Although it is not a true graft, when you leave the seam as an additional row of knitting, it is sometimes called a graft. When I am working with strong wool, or chunky yarn, where the seam will be very bulky, I will sometimes work my seam like this. Because I have worked into the row underneath the bind off, it’s still a strong seam. However, if I’m working with stretchier yarn (like this superwash merino), I will zip the seam shut. 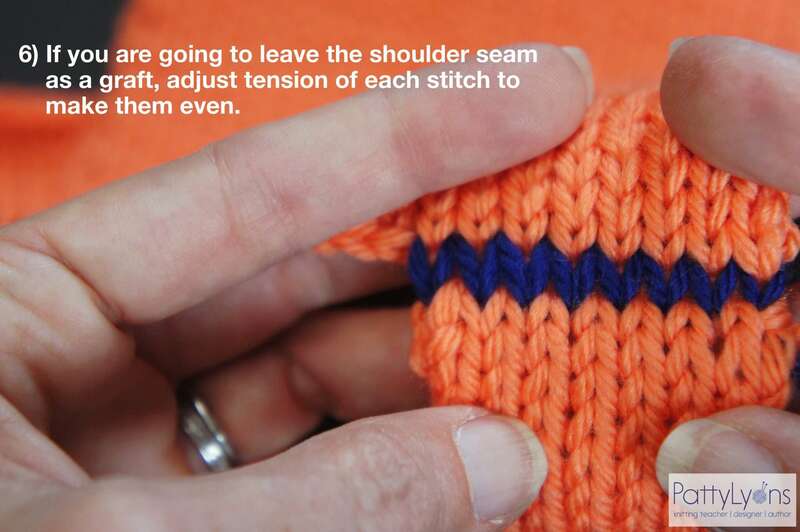 Notice how the blue yarn disappears and you are left with an uninterrupted column of orange stitches. Strong AND perfect! If you have requests for a Tuesday Tip, leave me a comment! That was a terrific tutorial. Clear, close up images help so much. I’ll have to figure out a way to save these pages in a file for future reference. Thanks much! If you haven’t figured out a way to save these, try pinning them on Pinterest. 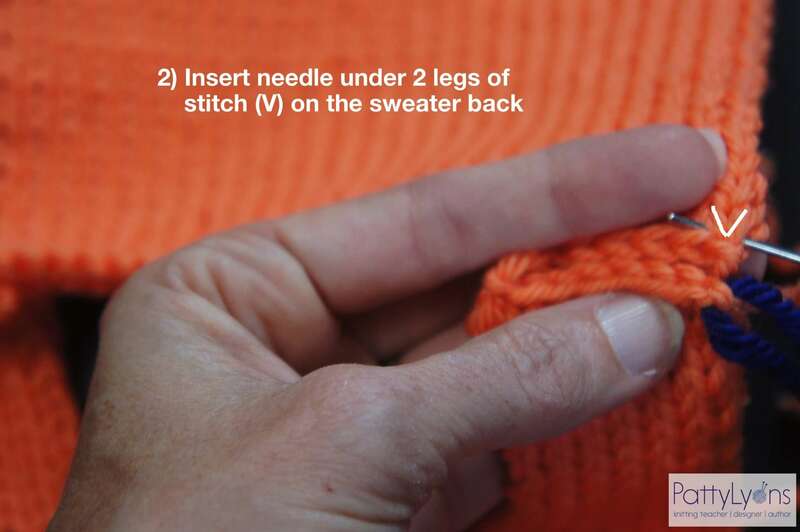 I have a section I labeled “Knitting tips” and it works great. 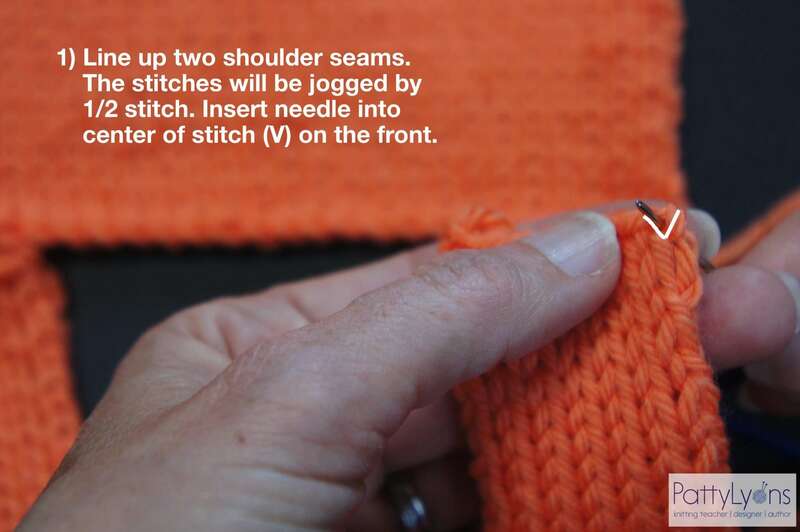 Thank you for the clear tutorial, especially the mention of the half-stitch offset. This really confused me when I first tried grafting – I kept thinking I must be doing something wrong! I struggle to deal with it when attaching the sleeves or picking up from the collar, although perhaps I’m being too fussy and should just “fudge it”.